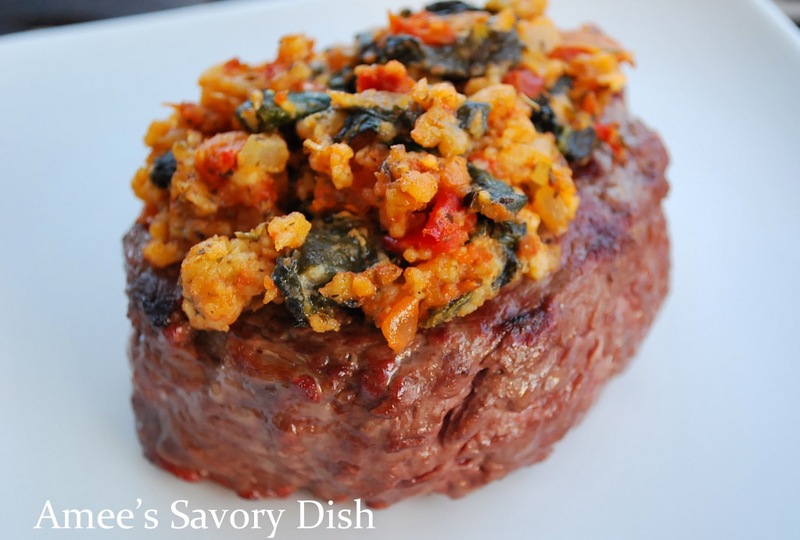 Mediterranean steaks are a delicious and flavor packed lean beef dinner. 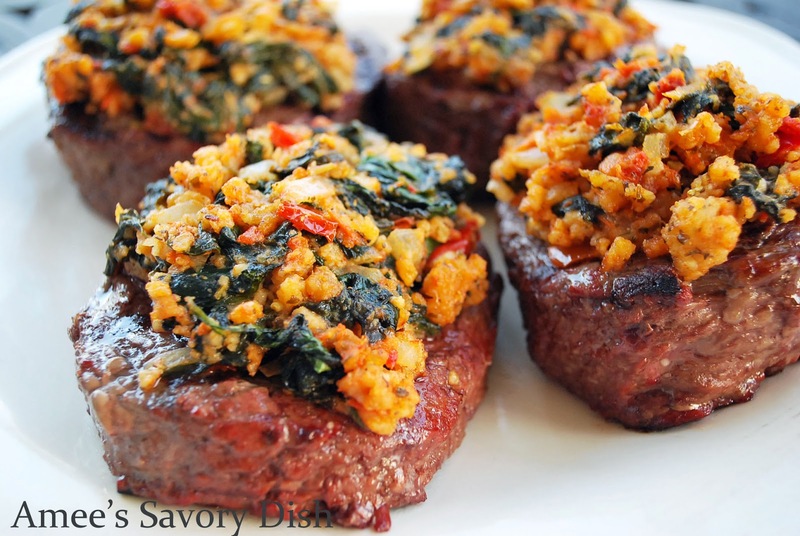 They’re tender beef steaks with a mixture of spinach, feta cheese, sun-dried tomato pesto, and seasonings on top. Want to jazz up your steaks and impress your guests? These Mediterranean steaks are simple to prepare and full of wonderful flavor. Many lean steak cuts work really well with this recipe. New York Strip, Tenderloin and Top Sirloin steaks are all great choices for cuts of lean beef. Lean beef is an excellent protein source for a healthy and fit lifestyle. For a delicious and healthy side dish to serve with the Mediterranean steaks, try my herb smashed potatoes! I hope you enjoy this easy recipe for Mediterranean steaks. *This post was shared by The Beef Checkoff. That looks fabulous! Getting ready for bed, but now I’m ready for a steak! So juicy and delicious! Thanks for coming and linking up at The Weekend Social. Please be sure to come back next week starting Thursdays at 9PM EST on culinaryflavors.gr ! I hope to see you there!